ID: 2087 ~ Source: BU Records: NoZe Brotherhood, Accession #BU/384, Box 1, Folder 9, The Texas Collection, Baylor University. 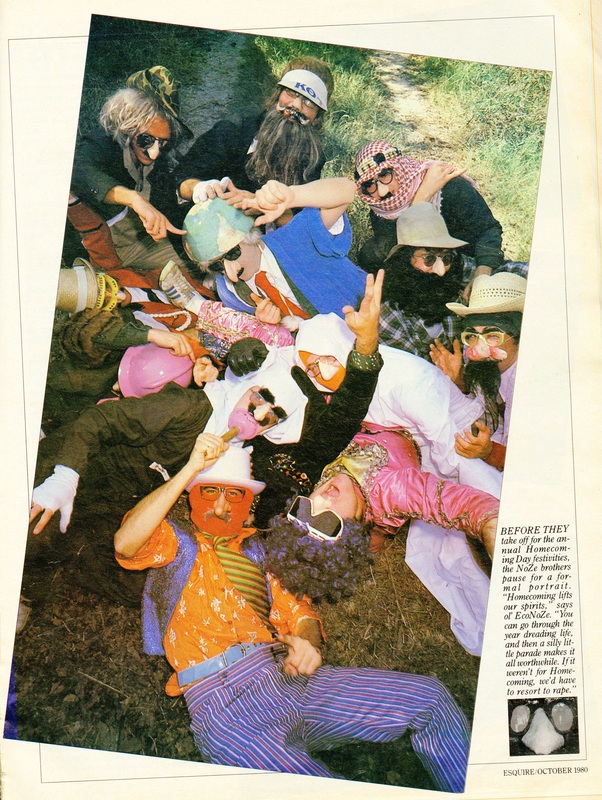 The NoZe Brothers may not have started in wacky clothing, but that is definitely their trademark today. Members can dress in any array of clothing items, but they must always keep the nose covered, by whatever means. This particular group photo was featured in Esquire magazine, which did an article on the controversial Baptist school organization.